Shikoto Hammer-Forged Longquan Master Nodachi Sword And Scabbard - 1060 High Carbon Steel Blade, Solid Iron Tsuba, Cord Wrapping, Geunine Rayskin - Length 65 3/4"
When you hold a Shikoto Hammer-Forged Longquan Master sword in your hand, you are holding the same weapon a warrior used more than 2,500 years ago. 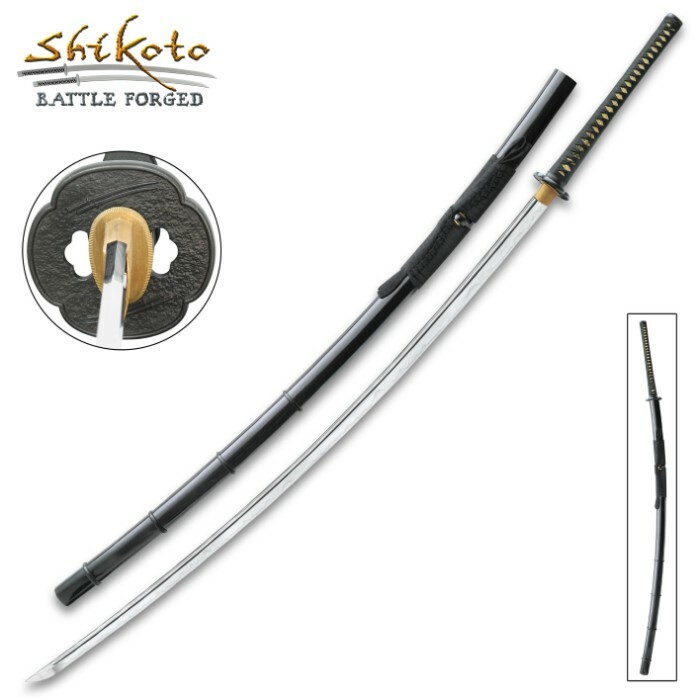 Using methods used by Bronze Age swordsmiths, the 49 3/8” 1060 high carbon steel blade has been hammer-forged and clay tempered to produce a visible hamon line. 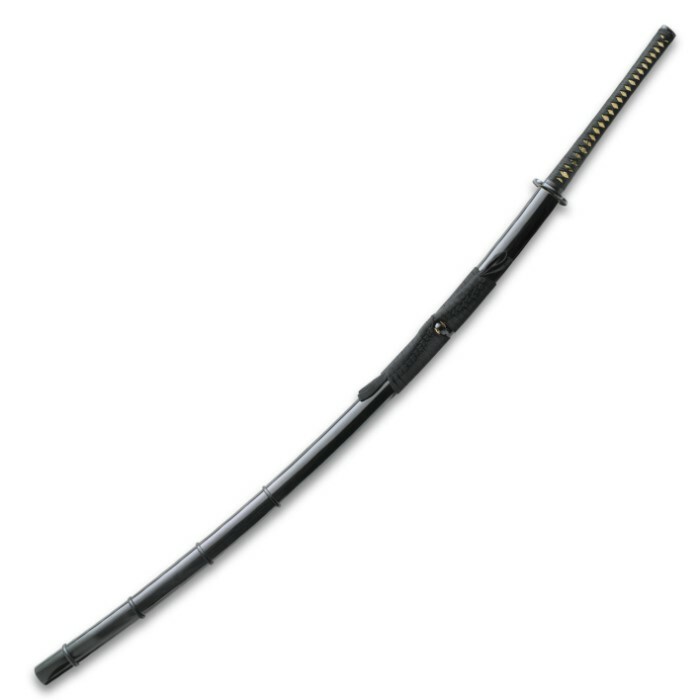 Differential hardening gives this magnificent sword a harder cutting edge and a softer spine, which is the hallmark of a high-quality weapon. The tsuba and handle fittings are of solid iron and the wooden handle has traditional cord wrapping over genuine, tea-dyed rayskin. A black lacquered and polished wooden scabbard with cord-wrapping houses the blade. 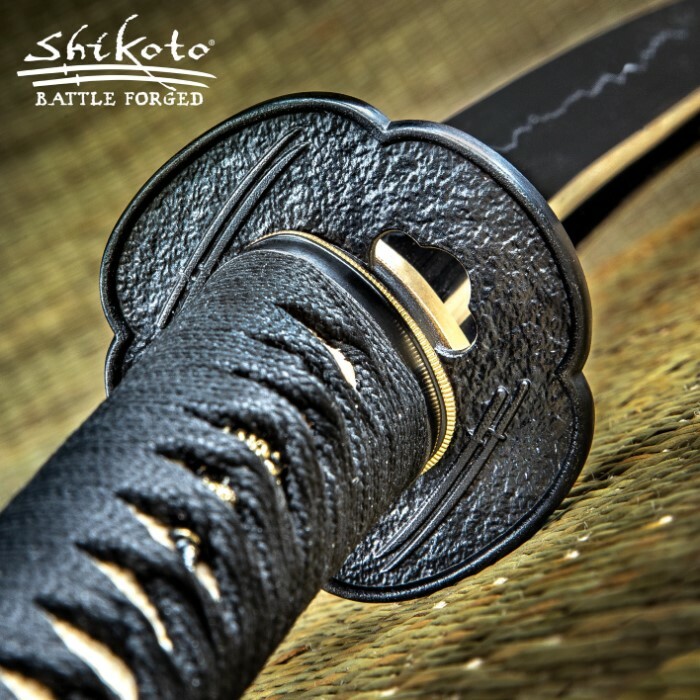 Also included with the Shikoto Longquan Master Nodachi Sword is a certificate of authenticity with forging specifications, signed by the master swordsmith who crafted the blade. I have three other Nodachi's and they are fairly nice and functional for the price I paid for those. This is the first Nodachi I have recieved from the Shikoto factory in Longquan and let me say that this sword in every aspect sets the bar for what I already thought was really good. Very Impressive piece that shows quality and detail. It is quite substantial as it is a large reach out and touch you sword. At this price point one would expect nothing less than stellar and I for one, am very satisfied! 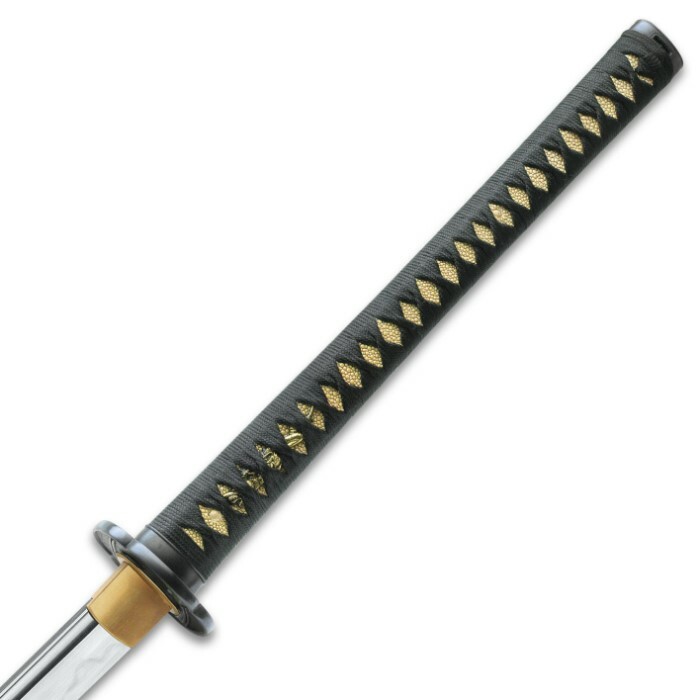 The sword is very nice it is sharp and sturdy it is heavy and feels genuine which you would expect from such a long blade. It does get some stuff on it when you pull it out of the sheath because of the grease and stuff but whipes off easily with a rag and water when you want to show friends and family overall i am very pleased with the sword and recommend it to anyone who wants a badass piece of history.